The Pro Hockey Hall of Fame in Toronto is rightly regarded as the mecca of hockey. That’s where you can touch the Stanley Cup in person and see videos and exhibits from all the great players in NHL history, regardless of nationality. 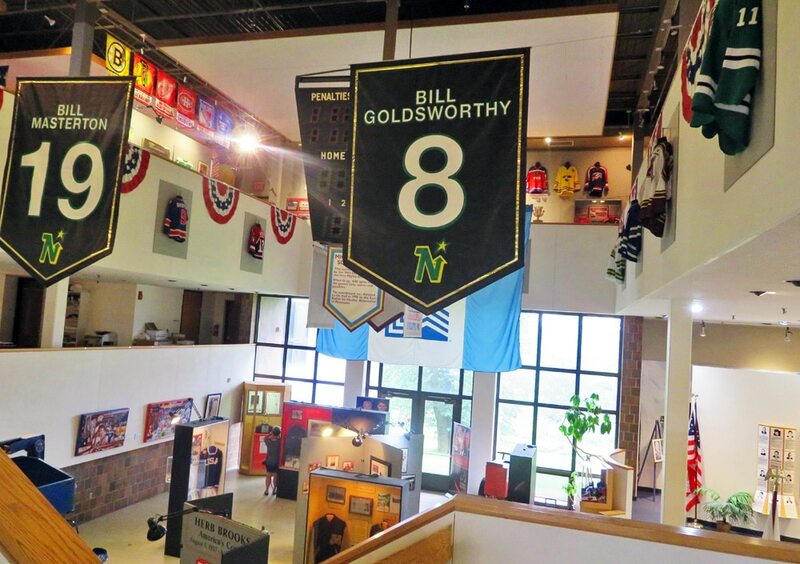 There’s a lesser-known hockey attraction that fans of the sport might want to consider checking out, and that’s the U.S. Hockey Hall of Fame in Minnesota. Its off-the-beaten-path location roughly halfway between Duluth and Voyageurs National Park means that far fewer visitors make it up here, but those who do are treated to some informative exhibits and fascinating artifacts. Like 70-year-old goalie masks, ice skates from the early 1900s, and the Calder Trophy presented to Boston’s Frank Brimsek for being Rookie of the Year in 1939. This Hall of Fame only focuses on American players and teams, so it’s not as massive as the one in Toronto. But it does provide more detail about the beginnings of the sport in the northern American states, and how the game has grown exponentially over the decades. 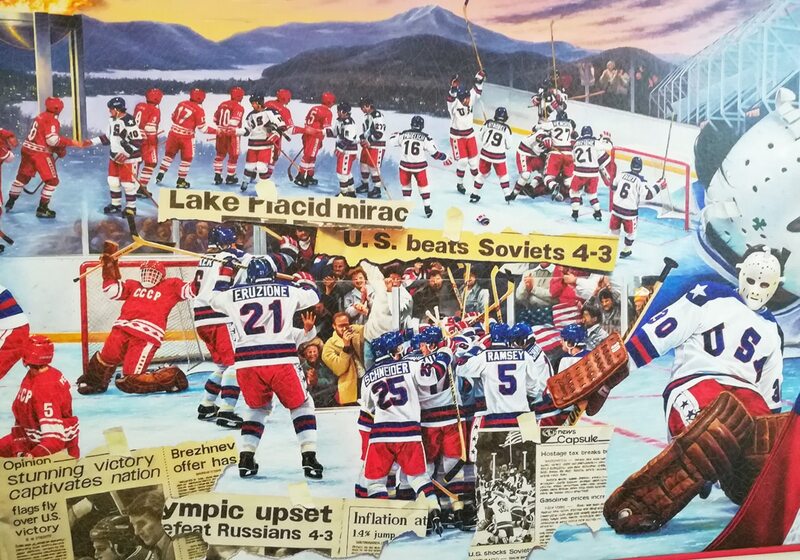 As you might expect, the 1980 “Miracle on Ice” Olympic team gets lots of coverage here. There’s a sizable section devoted to the success of women’s hockey. And memorabilia from famous American players like Pat LaFontaine, Brett Hull, Brian Leetch, and Chris Chelios. Best of all, there’s an interactive section where you can play bubble hockey, table hockey, or practice shooting pucks into a net. I spent a few minutes whipping wristshots into the upper corner of the net like I’m Phil Kessel. The net has a radar gun which tells you the speed of your shot. I topped out at 26 miles per hour. 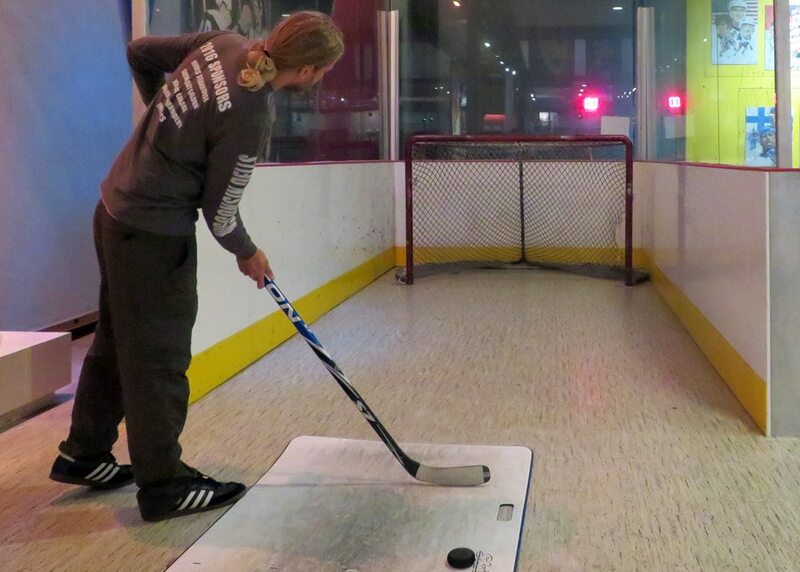 That’s pretty weak, but I was afraid to try a slapshot and risk breaking the stick. Be sure to check the hours before coming. 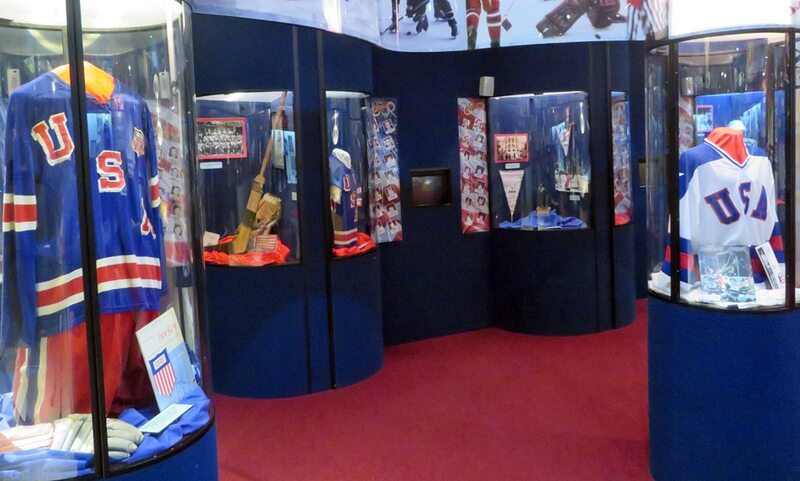 Outside of the summer months, the U.S. Hockey Hall of Fame museum is only open three days a week. 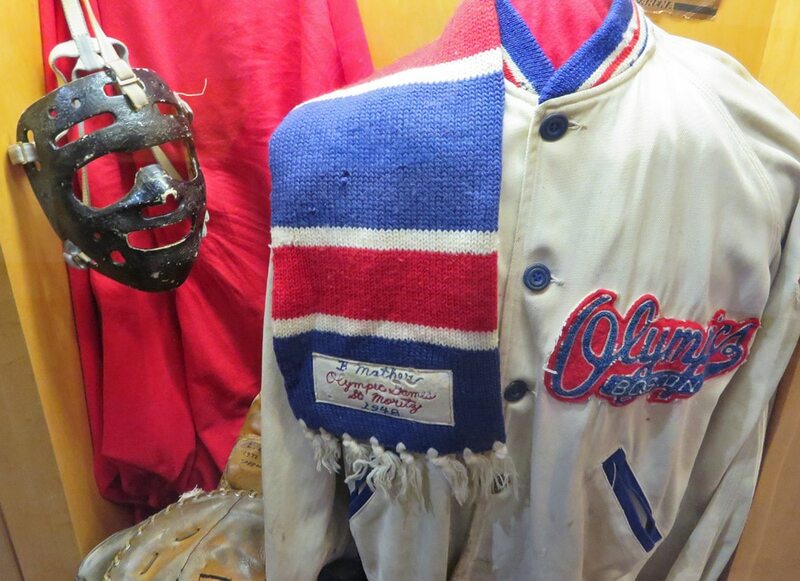 For diehard puckheads, the U.S. Hockey Hall is worth your eight bucks. 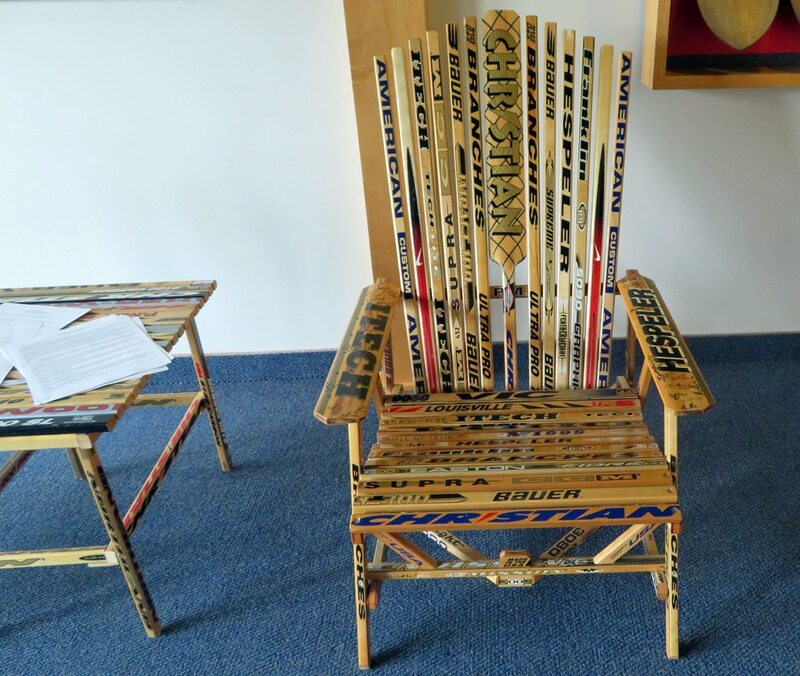 When you’re done exploring the museum, relax on their tasteful lobby furniture made out of hockey sticks. Fun! I have two male friends that would probably love this museum. They’re both Blackhawks fans, so the US museum might be the better choice, but both sound like mecca for hockey enthusiasts.